Display your work on any surface with the Studio Display Easel. This versatile easel allows you to display materials on a tabletop or floor. 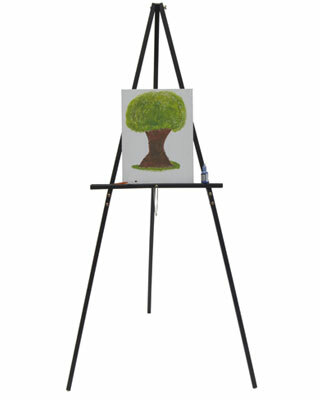 This easel features a 22" wide adjustable height ledge to accommodate different sized materials. Easy to assemble and disassemble, the Studio Display Easel also stores flat for portability.